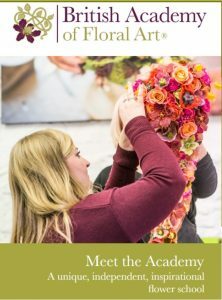 The Academy part-time level 3 qualification is both for those who have covered the essentials in the Beginner’s Academy Level 2 qualification or for florists who’ve tackled the basics, but are keen to take their professional floristry skills and creative techniques to the next level. If you like to learn through structured hands-on practice rather than paperwork, then the Academy Level 3 course is the one for you. 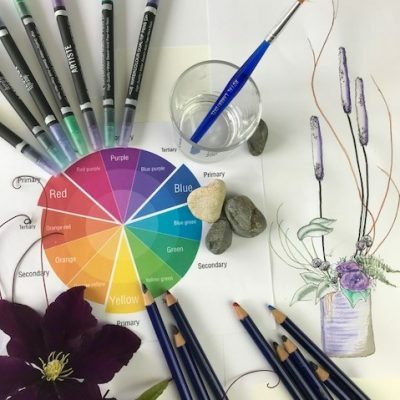 This is an exciting level of floristry where you move away from tutor lead designs and can start to explore your own style with the help from the teacher and class. We explore techniques and mechanics in more complex work to give you confidence and skill to create any design. 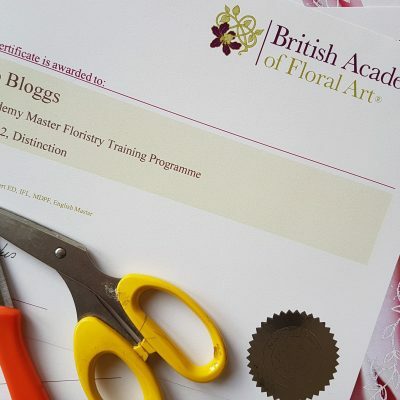 The Academy Level 3 qualification covers broadly similar topics to the City & Guilds Level 3, but in a very different way. 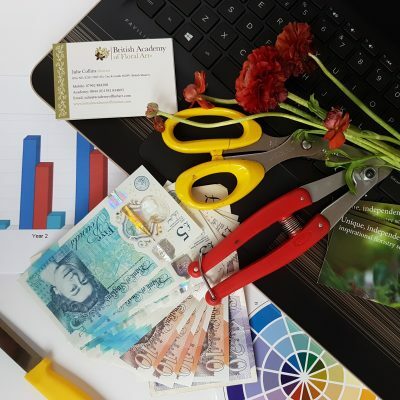 Around 25% of teaching time is spent on theory and informal class discussion to give you ideas to help your business succeed, but after that it’s all about getting hands-on and practical. There are absolutely no coursework or classroom assessments to complete at Academy Level 3. We are advocates of the European way, which is to establish a complete mastery of fundamental techniques at the beginner and intermediate stage. We want to give you plenty of time in your lessons to develop your creative style and study different mechanics and design ideas. range of shower bouquets, using different mediums and construction. creating stylized bridal bouquets, looking at different shapes and mechanics. european proportion to help with grouping. 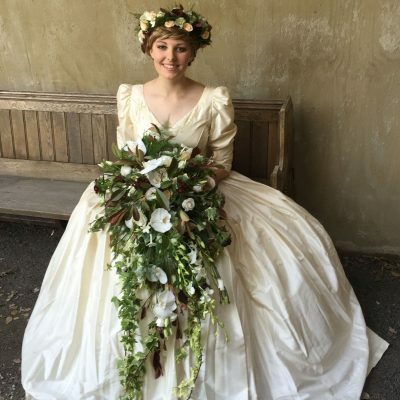 development of interesting techniques used in modern bridal designs. baskette and designed bridal hand-ties. design and make a range of designs using a preformed and self formed bases. design a range of environmentally friendly woodland burial designs. 3d designs, using foam and moss. look at a range of contemporary coffin spray’s and European funeral design. exploring a range of techniques and construction methods and look at inspiration from international designers which you can apply to your own work. learn how to interpret the customer’s requirements to create initiative funeral designs that have a very personal touch. We also expect students to take the Academy Heart of Design module on the essential principles of design at either Academy Level 2 or Academy Level 3. You only need to take it once, though! All Academy courses are designed to be super-flexible to accommodate your lifestyle and what you want to achieve. You can study the Level 3 modules as individual units to top up your CPD, or you can commit to full Academy Level 3 qualification from the outset. And you pay for each module as you go. We run the Academy Level 3 course in two locations for you to choose from: at our HQ in Dunchideock, near Exeter (Saturdays & Sundays) and at Avonmouth, near Bristol (Mondays & Tuesdays). The level 3 part-time course has a total number of 160 guided learning hours (GLH) and takes 12 months. This included 3 modules, heart of design and exam. Total cost is £2610 (3 modules and exam) or with heart of design £2857.50. Who are my Academy Level 3 tutors? You will be in very good hands with our friendly team of Academy tutors. 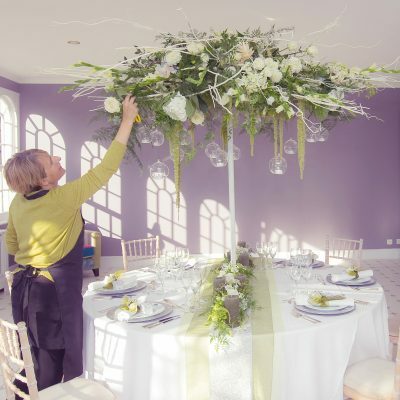 We are all highly qualified florists and tutors with considerable real, commercial floristry experience – and we are absolutely passionate about what we do. 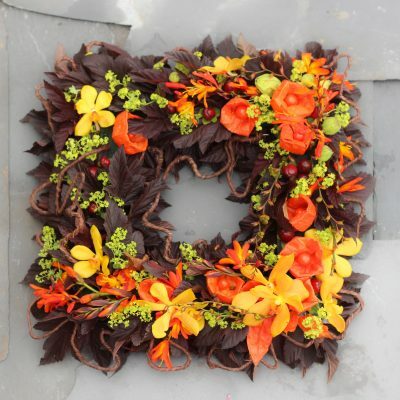 The tutors teaching the Academy of Floral Art Level 3 course this year are: Julie Collins and Kathryn Delve. If you need help in finding accommodation and transport or have any questions just give us a call on 01392 834893. We are a Professional and Career Development Loans registered Learning Provider for our level 3 courses, our registration number is 21706 . A Professional and Career Development Loan is a commercial loan that you can use to help pay for work-related learning. For further information on financial assistance to support your learning, please visit the GOV.UK website or contact the National Careers Service on 0800 100 900. You must apply by 25 January 2019, as the scheme will be closed after this date. 1. Click the module box below which will give you course dates and course content and booking page. 2. Click Book Now Button and this will provide you with a selection of start dates; make sure it is the venue and delivery you want. 3. Sign into the website when booking, and this will allow you to pay by card at a future date, £150 deposit will secure your place, and full payment is due 14 days before course starts (see terms and conditions). 4. You will receive confirmation of booking and an email from us over the next few days with lots of useful information. 6. Welcome to the Academy.